It is with a sad heart that I must announce the cancellation of the 2016 Deer Creek Death Ride. The increase in popularity of the ride has forced me to take a long look at how best to manage the ride going forward. The last two years we’ve had well over 125 participants, and that has unfortunately become too big to run without getting permits, insurance, etc... From a legal perspective, I don’t think I can get away with saying it is a group of good friends just getting out for a ride anymore (even though it is). Fear not. The DCDR is not dead. It will be back in a bit more of an organized fashion, but still focused on giving back to our local community and preserving the grass roots feel we’ve enjoyed for the first seven years. I’m working with some great people to iron out the details and we plan to have a DCDR in 2017 with plenty of evil climbing, the mini support crew, lots of yummy Linzer Tort Muffins and hopefully some new future “must have DCDR events”. I want to thank all of those that have supported us over the first seven years of the ride. 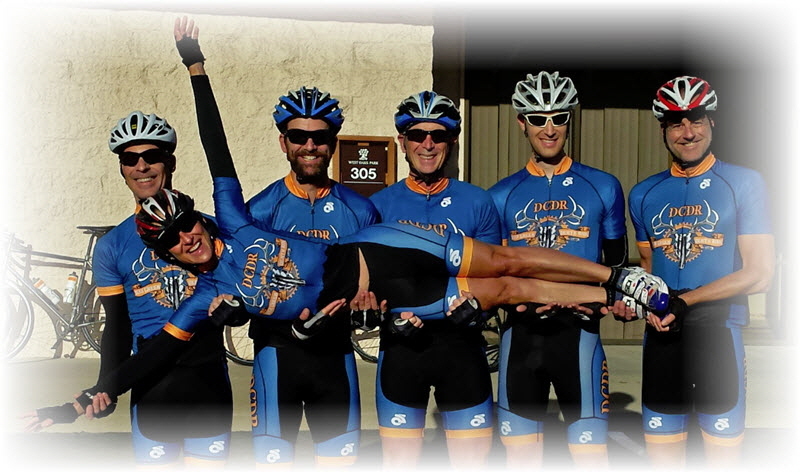 We have suffered together over many climbs while raising lots of money for the recipients of the Mike Nosco Memorial Ride. Thanks so much to all of you for coming out and being so generous. We truly do have the best cycling community around. I hope to share some miles on the roads with all of you before the year is out.